I love watching American football at the collegiate and professional levels. This article has one objective: to teach the basics of American football to anyone who doesn't know the game. I write it from the perspective of what you see and hear on TV. For a person new to the game of American football, the TV announcers may as well speak in a foreign tongue. This article will make it fun for you to watch a game. It will also take from you that lousy feeling of being an outsider when watching a game with friends or family. 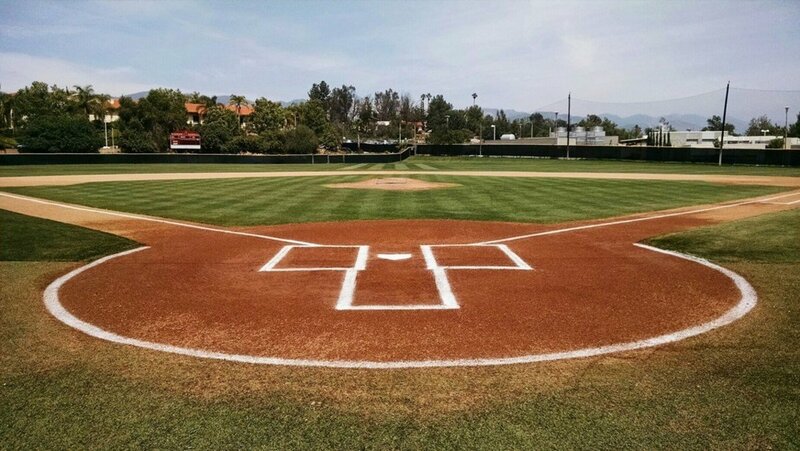 Once you know the basics, you can then learn as you go, and maybe, just maybe, learn to love this wonderful game. I'm not writing this for wives of football fans. I have met many women whose knowledge of football exceeds mine. I'm writing this for anyone who just wants to get to know the game of American football. Canadian football is also similar to American football. This article will not get into the details of the differences between the pro teams in the NFL (National Football League) and college and high school football. There are differences, but it isn't necessary for a newcomer to know them. American football is not to be confused with the great worldwide game of soccer, which is also known as football, or futball. With all deference to our soccer friends, they are correct in saying that American football isn't really football, because, with a few exceptions, the game is not played with one's feet. Our soccer friends are correct. American football really shouldn't be called football. But it is, and it's not going to change. You will notice that the subheadings in this article are not in alphabetical order, but rather in the order of how the game plays out in front of you. Like any team sport, the object of football is to score more points than your opponent during the time allocated. I told you this article was about basics. The field is exactly 120 yards long, which includes 10 yards on either side for the end zones (described later). It is 160 feet wide. At the end of the field are, appropriately enough, end lines also known as goal lines. The horizontal stripes across the field are call yard lines. They are placed every five yards. The idea here is to give players, and fans, an idea of where they are on the field. Every ten feet the yard lines are marked 10, 20, 30, 40 and the 50-yard line, which is the middle of the field of play. They then go back down: 40, 30, 20 and 10. Hash marks are those short lines (one yard in length) are marked between the yard lines, as a further aid in telling where you are. Read this paragraph and look at the diagram to the right and you can see that it's not complicated. The team that "has the ball" or "has possession" is known as the offense. Their job is to move the football down the field and to score. The job of the defense is to prevent the offense from scoring. Simple as that. Each side can have 11 players on the field. 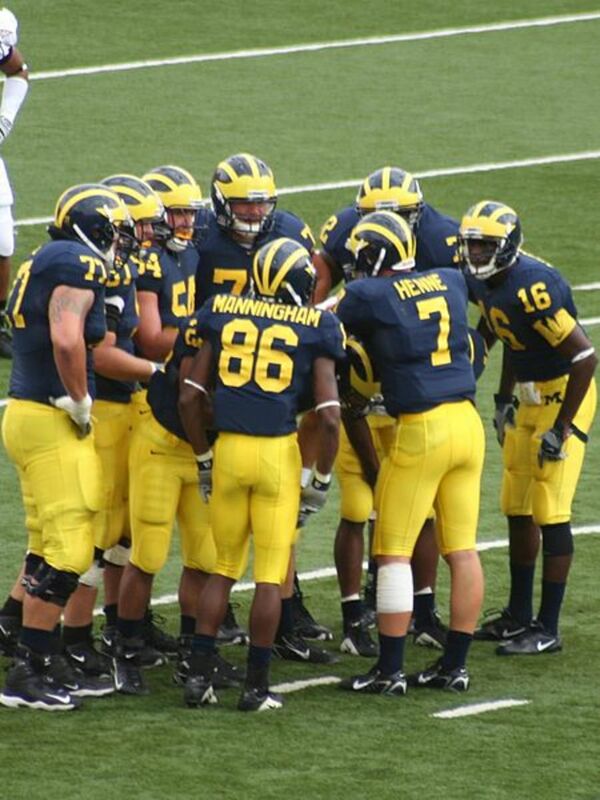 The offense is led by the quarterback, who may be described as the field manager. He usually gets the ball right after it is "snapped" by a guy called a center. 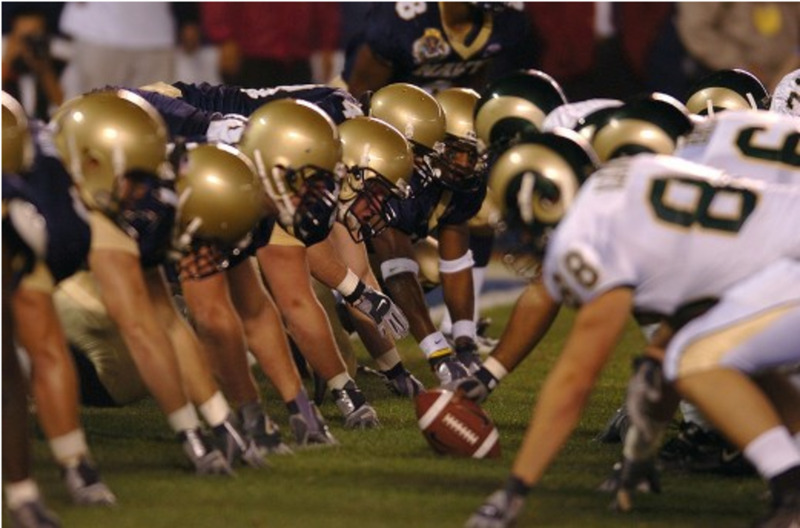 The folks who line up in a straight line on either side of the ball are known as lineman. The others are "backs." This is like a committee meeting where the committee chairman, the quarterback, tells his teammates what play they are going to use. Most teams "call in" a play from the coach, but some quarterbacks, such as Peyton Manning with the Denver Broncos, call the play. Plays have crazy scrambled names, such as "23 skidoo brown on three." This may mean that the quarterback will hand the ball to a certain player, who will run to the right (because brown may be a codeword for right) between two linemen. "On three" means that the ball will be "snapped" on the quarterback's count of three. When the center gets the ball to the quarterback, this is known as "the snap." If the quarterback is "lined up under the center" he is right behind and actually touching the center, and the center puts the ball right into the quarterback's hands. 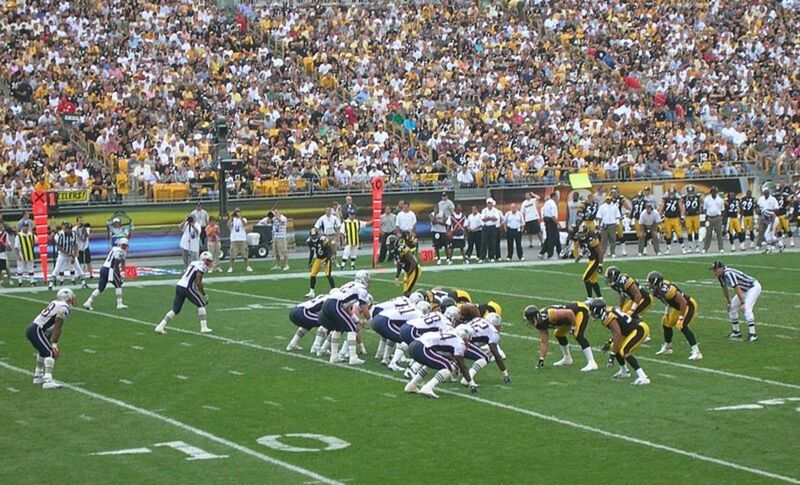 A "shotgun formation" means that the quarterback is lined up a few feet behind the center, who snaps it over that distance to the waiting hands of the quarterback. Centers see the world from an upside down and backward position. The count usually sounds like: "hut one, hut two, hut three." The count is designed to be simple and easy for the players to hear because the fans in the stadium may be screaming. This is the area at either end of the field where the scoring gets done (except for a field goal, which I will discuss later). The end zone is 10 yards deep and runs the width of the field. If a player runs into the end zone or catches a pass in the end zone he scores a touchdown. Downs are the basic arithmetic of American football. The team that has possession (the offense) gets four tries to move forward 10 yards and get a "first down," and thereby keep possession of the ball. Say, for example, That the New York Giants are playing the Washington Redskins and the Giants take possession of the ball on their own 36-yard line. They have to advance the ball 10 yards to the 46-yard line in order to keep possession. If it does so, the Giants get another four downs to move the ball another 10 yards, at least to the 44-yard line (46 to the 50 is four yards, and then it counts down from the 50 to the 44). The Giants would then be in its opponents "territory." An announcer would likely say "the Giants have the ball in Washington territory on the 44-yard line." This down deserves special mention, because understanding it will enhance your enjoyment of the game. Okay so the offense hasn't moved the ball 10 yards yet, and it's now fourth down. Big deal? Yes, a very big deal. The offense can try to accumulate the remaining yards to get a first down, but it's risky. Two big factors here: first, if the offense has been pushed back and has actually lost ground on its set of downs, say it's fourth (down) and 18, it is a long shot to get that many yards in one play. The other big factor in a fourth down situation is field position. Let's say, for example; you're on the 20-yard line on your opponent's end of the field (your opponents' territory). If you don't get a first down, your opponent takes possession. They only have to move the ball 20 yards to score, a scary situation. So what do you do? See the next paragraph. On a fourth down, to keep the opponent from an easy path to a possible score, the offense will choose to punt. 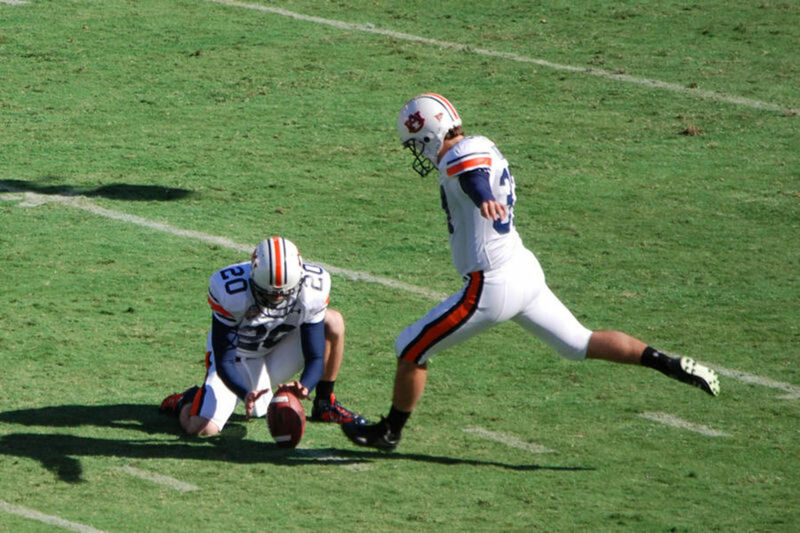 The ball gets snapped to a skilled punter, who will kick the ball as far down field as possible. The punting team then tries to tackle the opposing player who catches the punt before he gains much yardage. Often, when the guy about to catch a punt sees a bunch of opposing players charging at him, he will call for a "fair catch" by raising his right hand. If he does so, nobody is allowed to tackle him, and the ball is "spotted" where he caught it. Okay, so you didn't get a first down in your four attempts, but at least a good punt may give your opponent a long way to score. This is when you hear the announcer say something like: "The Giants left themselves with great field position with that punt." There are four ways to score in American football. Touchdown - Six points. If a player runs into or catches the ball in the end zone, he scores a touchdown (and typically performs a dance). Conversion - One or two points. Nothing is being converted really, but that's what it's called. The typical conversion is a kick, also known as the "point after touchdown" (PAT) or just a "point after." Because the ball is placed or "spotted" on the two-yard line this is a very easy kick and almost always succeeds unless there is a problem with the snap. The kicker must kick the ball over the horizontal crossbar and between the two upright bars. The touchdown scoring team can also opt for a two-point conversion by running or passing into the end zone. This is much riskier than a kick so it's seldom attempted unless it's late in the game and that one extra point can mean the difference between winning and losing. Field goal - Three points. 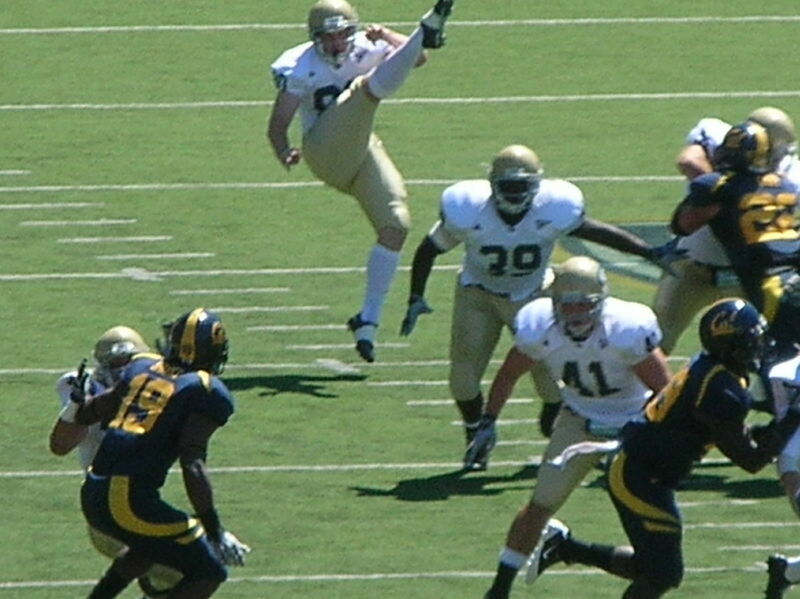 The action is performed the same way as a point after touchdown, but a successful kick is three points. A field goal is usually attempted on a fourth down because a kick is less risky than a pass or run, especially if there is a long way to the goal line. The longest field goal was 63 yards, a record that is shared by four players. Safety - Two points. A safety is a two-point score that occurs when the defense tackles an offensive player with the ball in his own end zone. It's the only way that the defense can score points. 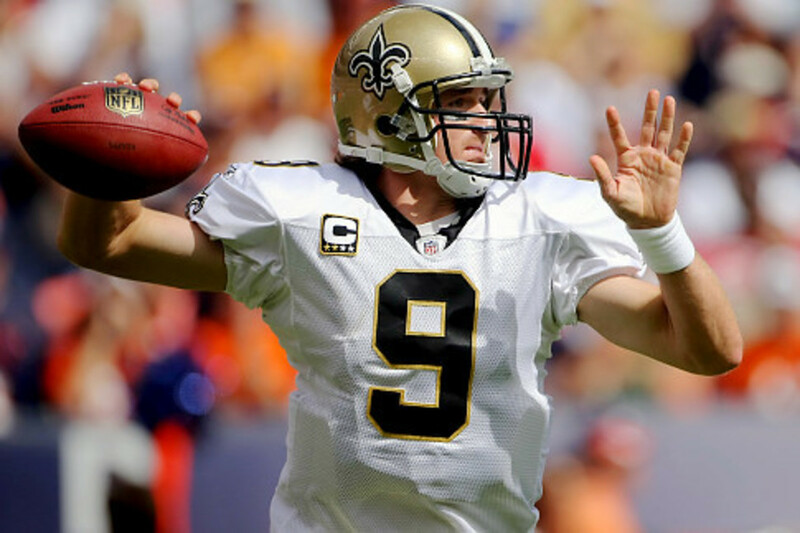 An NFL playbook, the document that players must memorize, can be as long as 800 pages. Because the purpose of this article is to simplify football and give you the basics, I will not go over all of the variations of plays possible. But there are certain plays that you will hear the announcer discuss, and it helps to be aware of them. Draw Play. When the play starts, it looks like it's going to be a pass play. The quarterback takes the snap from center and runs back to throw. Instead of passing he hands the ball off to a running back. It's called a draw because it "draws" the defending lineman in to tackle the quarterback only to find he doesn't have the ball. The idea is for the running back to drive past the onrushing defenders who are after the quarterback. Play-Action Pass. This is the opposite of a draw play. It should be called a fake run, because that's what it is. When the quarterback takes the snap, he fakes a handoff to a running back charging toward the line. While the defenders are trying to tackle the guy who they think has the ball, the field beyond the line of scrimmage is opened up for the quarterback to pass the ball. Flea Flicker. This is a variation of the play action pass. The quarterback gets the snap and hands off or tosses the ball to a running back. The running back then tosses the ball back to the quarterback who attempts a pass play. This is a very risky play, and can often result in a turnover. Quarterback Sneak. This play is attempted when there is a very short distance to the first down line or the goal line. The quarterback takes the snap and attempts to lunge over the line. It isn't an easy play because defensive lineman expect a sneak play when the distance is short. Football is a fascinating game, one based not only on athletics but on strategy. Knowing the basics of the game makes for a fun experience. Also, you can impress your friends after a play by saying "he should have called a play-action pass." 3-4 vs. 4-3 Defense in Football: Which Is Better? A terrific outline of the basics! SusanSales is correct, but the mistake in the Fourth Down paragraph is easily corrected. Excuse me, but there appears to be a very big error in this Hub of the Day. In the section on Fourth Down, the writer states that being on the 20 yard line in your opponents territory is a dangerous place to be! No, no, no...this is a great place to be, because the team in that position can kick a field goal and get 3 points. What the writer surely meant to say that 4th down on your own territory is dangerous, not your opponent's territory. That's the situation where if you don't make 1st down, the opponent takes possession of the ball right there, and has only 20 yards to for a touchdown. I'm really surprised that whoever chose this hub for Hub of the Day didn't notice this very important mistake. I've sort of understood the game for a long time, now, and what I find annoying is how they can turn a game that is supposed to last an hour (4 quarters of 15 minutes each) into a 3 or 4 hour marathon with all their time-outs, challenges, and so forth. Your explanations are very good for newcomers to the sport, but one term you called a "quarterback sneak," my circle (and some announcers I've heard) also call it a "quarterback keeper." Minor difference, I'm sure. Also, an explanation of the term "offsides" would be helpful. Well done, even though I'm not a big sports fan. Congratulations on HOTD! Very interesting description of the game and the entire processes involved in it. The basic difference is that it is not played with your feet. That is quite funny seeing the name of the sport. Thanks for sharing all this wonderful knowledge. Thanks for you comment, Sunshine. Thanks Susan. Glad you enjoyed it. Tis the season. Most of what I know about football I learned from my sons - and I'm glad I did. We've made some great game-day memories through the years. I've never really understood a safety, but I guess it really is as simple as you describe it here. Thanks for a great beginner's guide and congrats on HOTD honors today! Great hub on football, Russ. It's clearly well detailed on how football games work. Congrats on HOTD! Great article. A good breakdown of the basics to those new to the sport. Thanks Katya. The game is more fun when you understand the rules. I love football and I am so excited that it is football season!!! I have some friends who do not understand the game and this article breaks it down well for them. Very well written! Thank you. I'm glad you enjoyed it. I love football! Very well written Hub. Voted up! The game has been a total mystery to me, since I spent most of my childhood in another country. Thanks for covering the basics. Voting this Up and Useful. Explain a pick 6! My female friends think that is a beer reference. Thanks Linda. Remember, when in doubt just say "The quarterback should have called a play action pass." I think I know the basics of football, but that's enough considering I only having a passing interest in the game. (At least I know when to clap and cheer!) Thanks for shedding some light on the subject! I lived in South America for three years and didn't understand the intricacies of futbol (soccer). I can only imagine what they would think about American football! I do love the game but I wonder what someone from Europe thinks of it. Notice you didn't try to explain the Wildcat or Triple Option Offenses...LOL....good job my friend!